Europe's largest political family, the centre-right European People's Party (EPP) aims to adopt at its congress in Helsinki this week a resolution in defence of liberal democracy in the face of rising populism across Europe - and even within their own ranks from Hungary's Viktor Orban and his Fidesz party. The draft resolution titled "Protecting EU Values and Safeguarding Democracy" stresses the importance of rule of law, an independent media, a vibrant civil society, strong EU institutions, independence of the judiciary, and EU monitoring of member states' compliance with fundamental values. Get instant access to all articles — and 18 year's of archives. 30 days free trial. Student, retired or simply can't afford full price? No worries. EUobserver's coverage of the 2019 European election. Investigative. Independent. Influential. Watch our founder Lisbeth Kirk explain the reasons in this 30 seconds video. 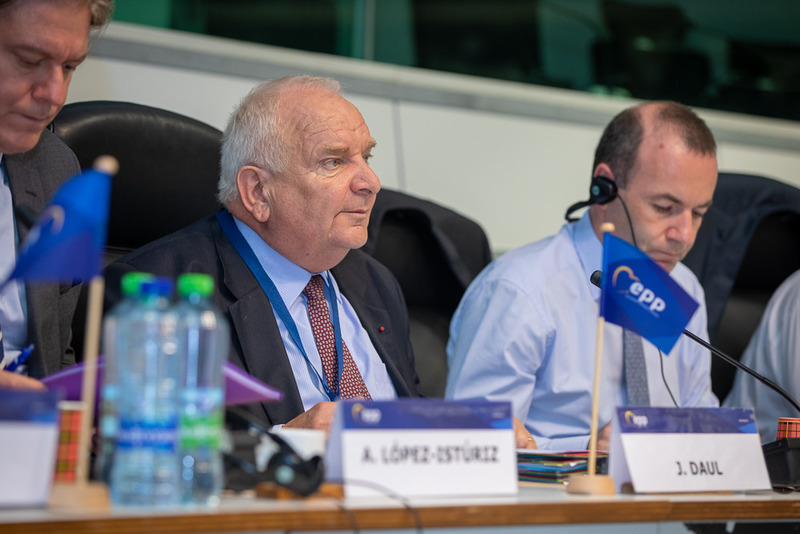 The resolution will be voted at the EPP congress in Finland starting on Wednesday (7 November), where the party will also choose its lead candidate (the 'Spitzenkandidat') ahead of the European elections next May. 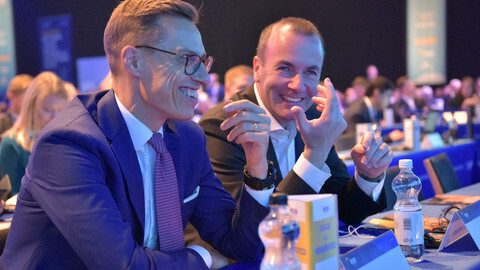 The contest is between the party's leader in the European Parliament, Manfred Weber, and former Finnish prime minister, Alexander Stubb. 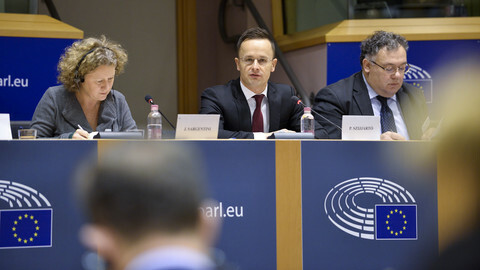 The issues raised in the draft resolution have been controversial matters of concern with regards to Hungary, where EPP member Fidesz have been ruling with a two-thirds parliamentary majority for the past eight years with a nationalistic, autocratic streak. The EPP document does not single out the central European country by name though. The EPP has long been struggling to deal with Orban, once dubbed the "enfant terrible" of the party by EPP president Joseph Daul. 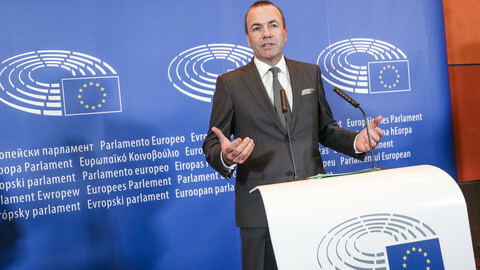 The problems with the 'neither-with-you-nor-without-you' type of relationship escalated in September, when the majority of EPP lawmakers in the European parliament, including Weber - who comes from the conservative Bavaria CSU, an ally of Orban - supported triggering the Article 7 sanctions procedure against Hungary for challenging basic EU values and rules. This new draft resolution is the latest attempt by the party to force Orban to follow the EPP's line. Meanwhile Orban argues the EPP would be better off following his anti-immigrant, "illiberal" interpretation of democracy. "Christian Democrats after the Second World War were at the forefront fighting to establish liberal democracy in Europe - based on our Judeo-Christian values, Christian democratic ideas, the rule of law and a multiparty system, a strong civil society with independent media, the freedom of religion as well as expression and association," the draft resolution states, adding that these values are challenged all over Europe. The draft was submitted by the EPP presidency, and has been circulated among member parties. It does not come as a surprise for Fidesz, which has one of the vice-presidents of the party, Kinga Gal. She was unavailable for comments on Monday. The EPP leadership has been trying to put pressure on Orban, who has so far to appeared to manage to breach the party's previously set 'red lines' - such as the fate of the Central European University, a Budapest-based school founded by US billionaire George Soros, a nemesis for Orban - without consequence. The CEU has been making preparations to move to Vienna after it became a target of Orban's government. The resolution is expected to pass at the congress, but it is yet unclear what will happen to those who reject it. An EPP source pointed out, though, that if a party joins the EPP family, it needs to accept its values. 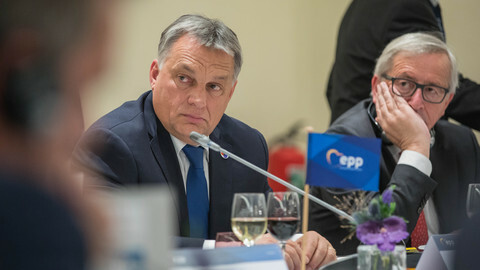 Despite the draft resolution, neither Fidesz, nor the EPP would want to escalate the dispute at this point, as the congress is aimed to be about the Spitzenkandidat and the May elections, not Orban. An EPP exclusion for Fidesz would require a procedure to be demanded by seven member parties from five countries, and so far no such request has been made. 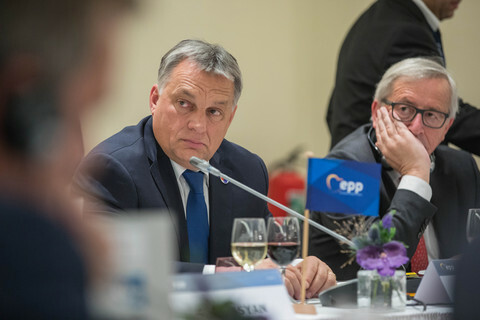 Nevertheless, frustration among EPP members, who face questions from their constituencies on why they sit with Orban - whose rhetoric matches those on the far-right, and whose closest circle has been linked to possible fraud in EU-funded projects - has reached a boiling point. "The purpose of this is to remind some people what the EPP is all about," said a source referring to Fidesz. 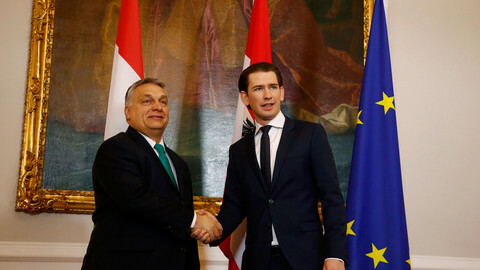 EPP group leader Manfred Weber endorsed Orban's electoral campaign earlier this year with a visit to Hungary, securing a promise from Orban to tone down his rhetoric after the April polls, but that has not happened. At the last EPP summit in Brussels, the party's leadership sent a unified message to Orban that he cannot challenge basic EU rules and values endlessly. But the party is also stuck between a rock and a hard place. Many feel frustrated having to defend Orban all the time, while others agree with his tough anti-immigration stance and would want to avoid meddling in a member states' internal political affairs. 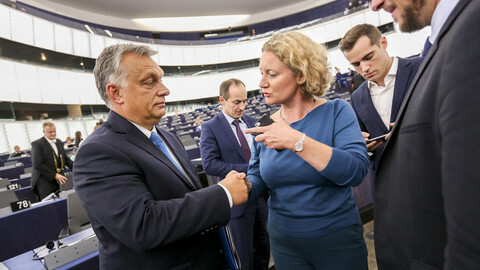 Orban is also sure to deliver a dozen or so MEPs in next year elections to the group that is certain to lose some of its 219 existing seats in the European parliament. The EPP also hopes this text could cement the party in the centre, as far-right parties across Europe are expected to surge in the European elections. Sources close to the party leadership say the resolution is not only about Hungary, and it is important to reiterate the commitments to the party's values that are under threat across the continent. MEPs will vote next week on whether to urge member states to investigate Hungary on EU values. Budapest calls it "liberal fundamentalism", with the EPP in a difficult position. The parliament launched a sanctions procedure against Hungary in an unprecedented vote that required a two-thirds majority from MEPs. Hungary is calling the vote a "fraud" and a "petty revenge" for its hardline migration policy. Hungarian PM Viktor Orban has defied calls for the European People's Party to expel his 'illiberal' Fidesz party - instead telling the group they need to reform to fit his 'Christian democracy' stance. Weber, the head of the centre-right EPP group, has said he would back triggering Article 7 on Hungary, in what Orban dubbed an attack on Hungarian people. The EU's largest political family has gathered in Helsinki to chose its lead candidate for the European election next May. They need to take on populists - but are struggling to deal with the 'enfant terrible' within their own ranks. EU commission president said EPP should expel Hungary's Fidesz, after Orban's government ran a campaign accusing Juncker of migration "conspiracy theories". 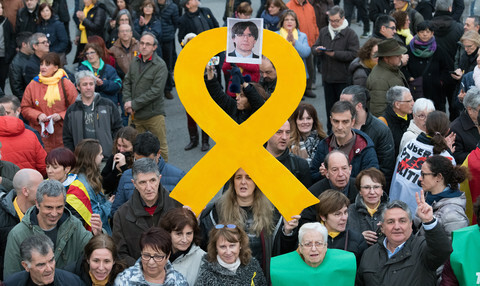 What is really needed is not the theatre of a rebellion trial, but a forensic examination of whether public funds were misused, and a process of dialogue and negotiation on how the Catalan peoples' right to self-determination can be satisfied. The future of the Viktor Orban's Fidesz party inside the European Parliament's centre-right EPP political group hangs in the balance. On Tuesday, Orban and EPP chief Manfred Weber meet in Budapest in a final effort to iron out differences. International Partnership for Human RightsTrial of Chechen prisoner of conscience and human rights activist Oyub Titiev continues.